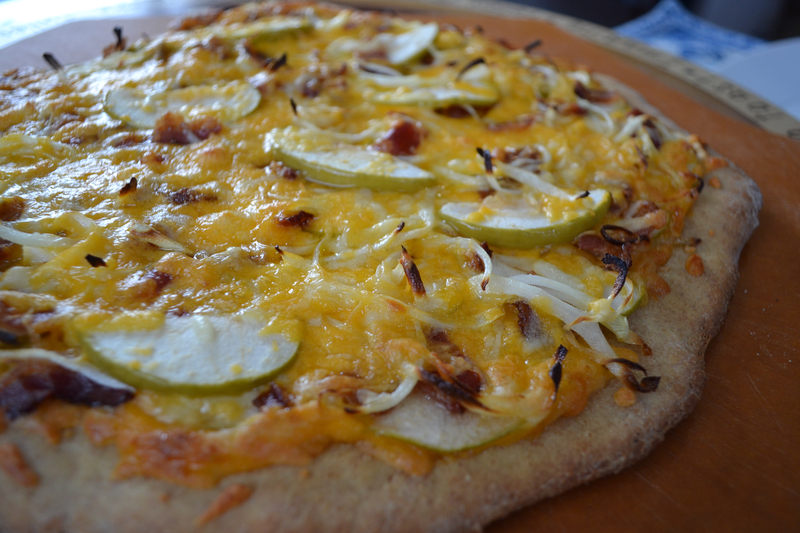 Apple, bacon, and cheddar are becoming one of my most favorite pizza combinations. What’s interesting to me is that this pizza turns out different each time I make it. Check out this post from November 2011 and another from October 2012. Two different strategies make this version stand out from the others. First, my friend Sara showed me how to slice the onions super thin, making caramelizing easier. 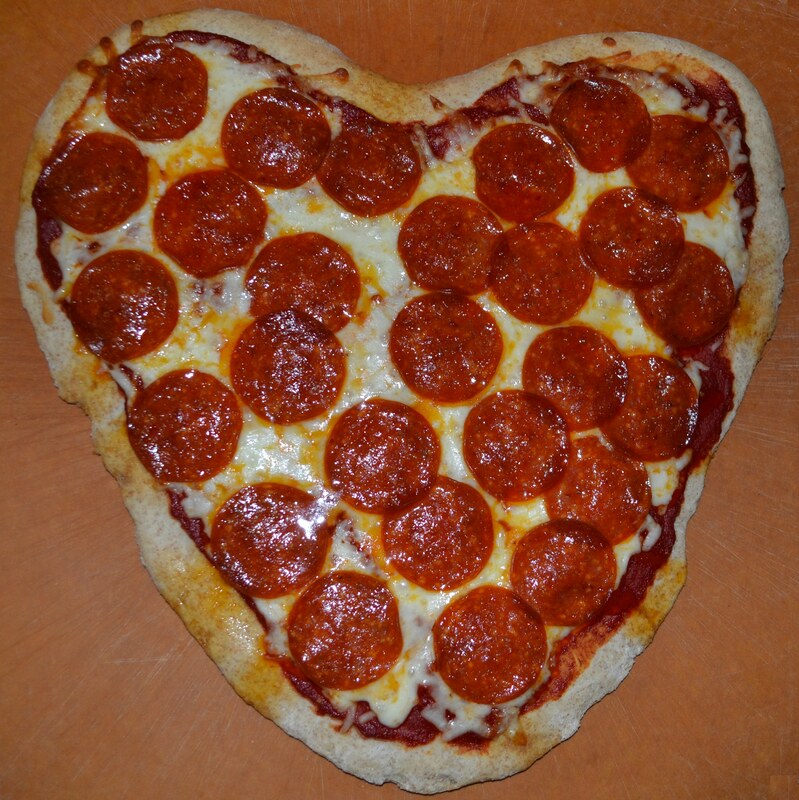 Second, rather than putting the toppings on one topping at a time we added them more randomly. This made for nice flavor distribution and nice presentation. This apple, bacon, and cheddar recipe is sweet and savory, and so delicious! It’s been almost two years since I made a four cheese pizza, and one year since I’ve eaten real dairy cheese. What a simple pizza recipe! The cheese combination was strong but tasty and went well with my homemade pizza sauce. I was so excited to eat my first real cheese pizza after a year without, that I only let the dough rise for 30 minutes when it really needs at least an hour. When it baked the crust didn’t get as fluffy as it usually does. Despite the slightly dry, flat crust it was a good pizza. 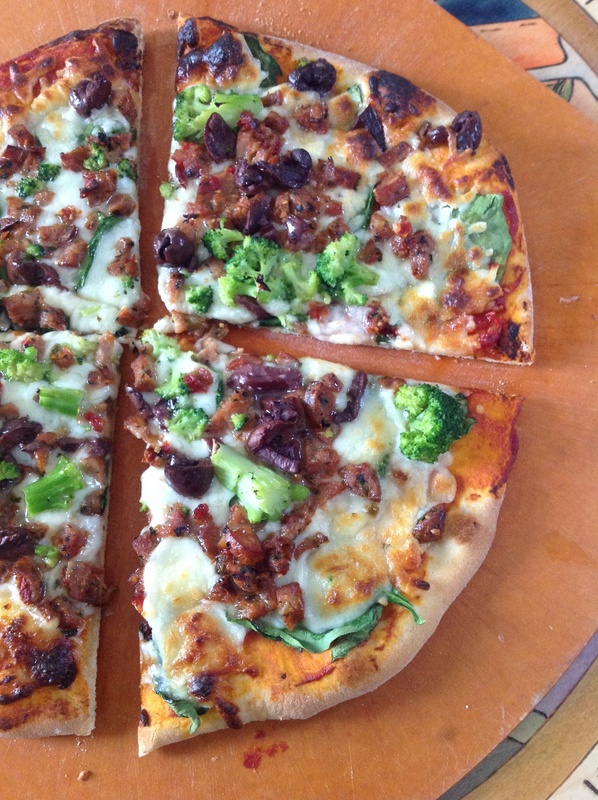 Notes: I would never have imagined making a dairy-free pizza a year ago, but since I found out my daughter has a dairy allergy I’ve adopted a completely dairy-free diet. 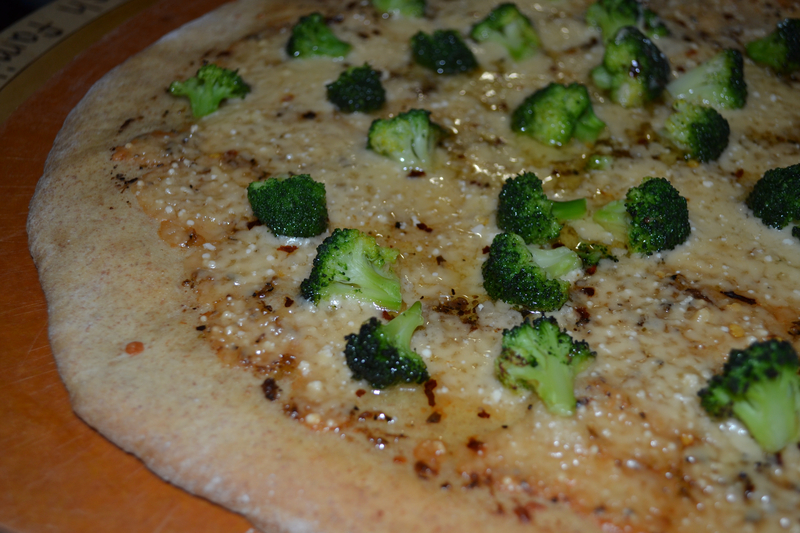 My pizza dough doesn’t contain dairy, but if you’ve being reading my blog for long you know I love cheese. Recently, I’ve started to experiment with dairy-free cheese. Non-dairy cheese will never compare to a fresh block of soft-ripened cheese, but I’ve come to appreciate the subtle flavors in vegan cheese. However, what made this pizza special was the roasted acorn squash. 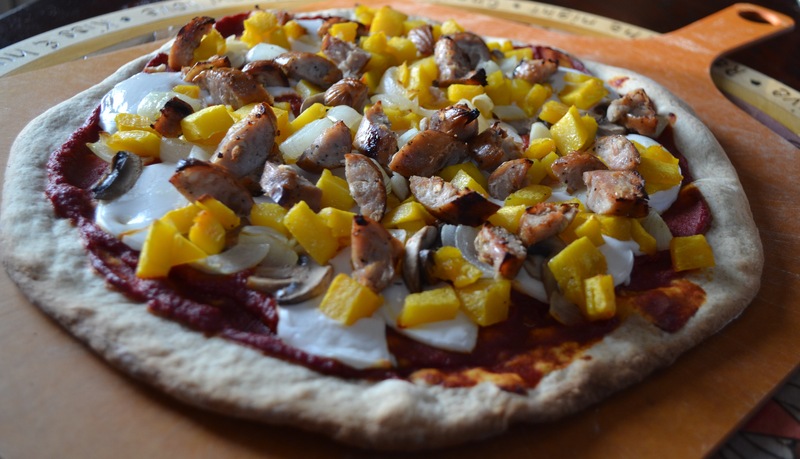 Combined with chicken and apple sausage, my dairy-free autumn pizza tasted like fall. If you’ve had a good experience with a dairy-free cheese, please let me know because I am open to suggestions.